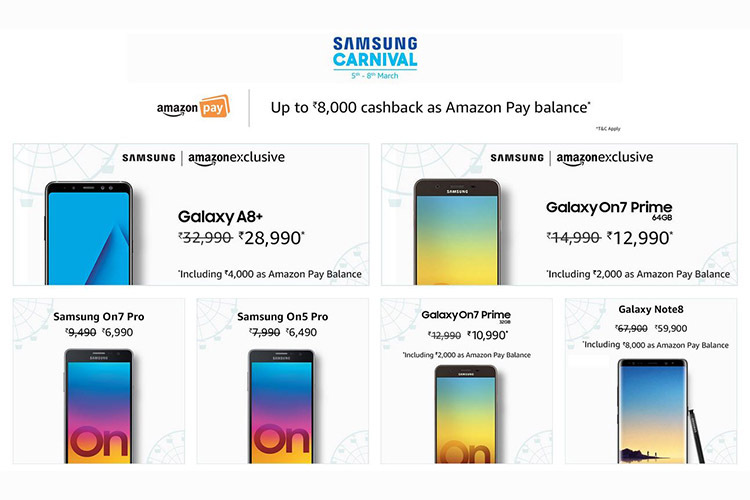 Samsung is currently hosting the ‘Samsung Carnival’ sale on Amazon and the Samsung Shop with up to Rs. 8000 cashback on select products. During the sale, which lasts till March 8, buyers will be able to avail attractive Amazon Pay cashbacks upon purchase of a new Samsung device. With this discount, the Nore 8 will be available for Rs 59,900, discounted from its original Rs 67,900 price. It must be noted that Samsung is gearing up to launch the new Galaxy S9 smartphones tomorrow and the new phones are expected to have a Rs 60,000-plus price tag. Bringing the Note 8 just under this price tag could be Samsung’s way of confirming this rumour. 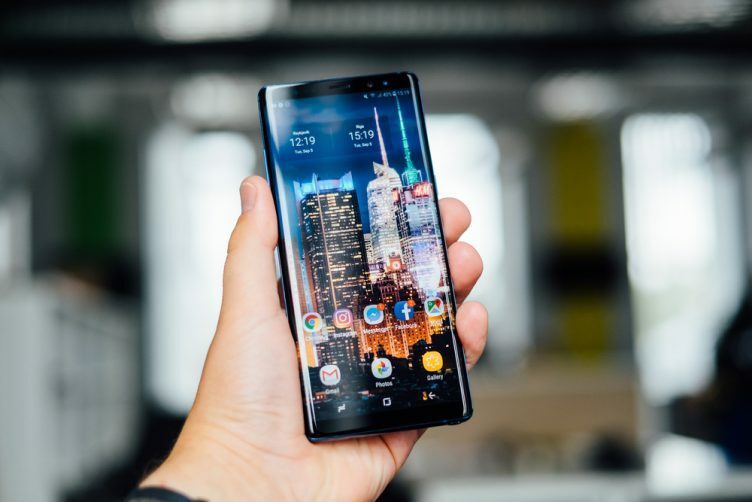 The offer is available on six Samsung smartphones, including the Galaxy Note 8, Galaxy A8+, and the Galaxy On7 Prime. The cashback will be credited to users in the form of Amazon Pay balance which can be used for mobile recharges, purchasing products on Amazon, and paying utility bills, among other things. Additionally, Samsung will also be offering the “best exchange value” for older devices and no cost EMI with a variety of payment options. Other Samsung models are also on sale including the the Galaxy A8+, which will be available for Rs. 28,990. In addition, the Galaxy On and J series phones are also on sale. Samsung has extended the discounts to its home appliances range as well.